Buy Q-Connect Premium White A4 Quick-Jet Paper and you save on cost but not on quality. Bright white, highly opaque with excellent ink retention, this paper is ideal for everyday printing and copying. Its ultra-smooth 90gsm finish shows up excellent contrast against ink or toner with almost no bleed through. 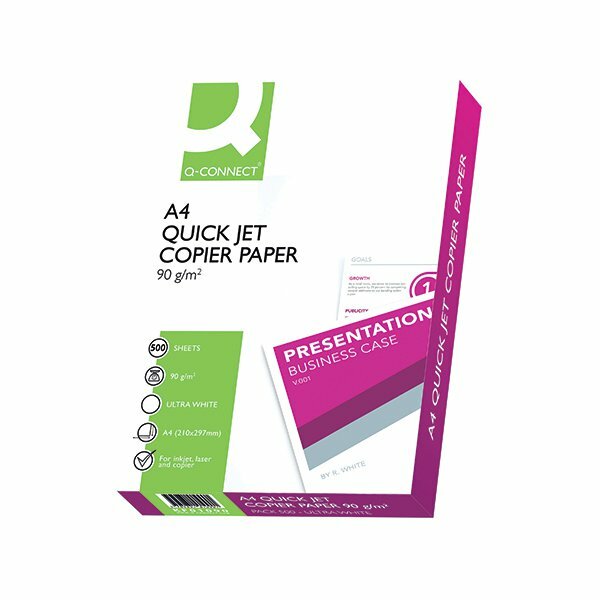 Q-Connect provides the perfect combination of value and excellence for crisp, clean printouts on paper that doesn't cost the Earth.